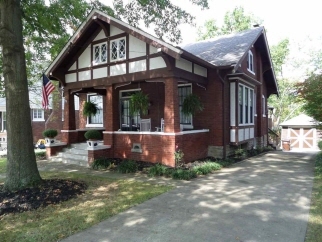 Open house cancelled 9/24 charming 3 bedroom home in fort thomas. Large windows let in great natural light! Large rooms with 10' ceilings throughout the first floor! Two bedrooms on the 1st floor & master bedroom w adjoining bath on the 2nd floor. Updated mechanics, furnace and a/c apprx 2 yrs, water heater apprx 3 yrs, roof apprx 7 yrs. Great deck! Basement has glass block windows & walk-out.